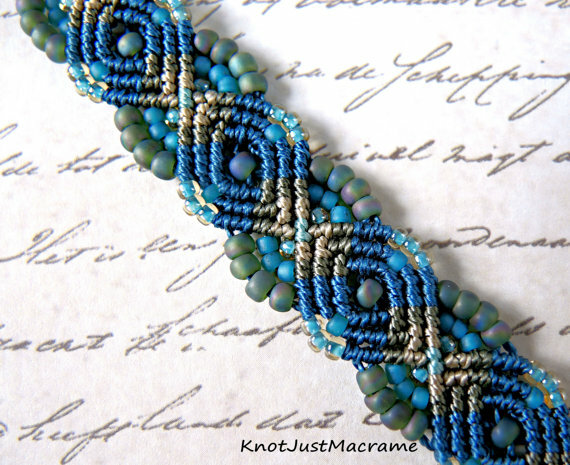 Knot Just Macrame by Sherri Stokey: Micro Macrame Giveaways! Have you Entered? For those of you who've been testing the waters and doing some knotting on your own, I have another giveaway I hope you might like. 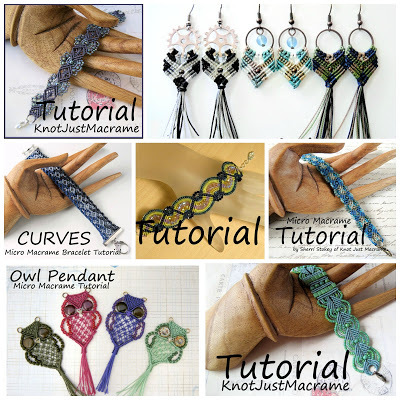 It includes all eight of my downloadable tutorials, including instructions for six different bracelets (yes, I'm a bracelet kind of girl), earrings and (insert drum roll here) a macrame owl pendant! Yes, I went there. Every macrame should have an owl behind it. If you've stuck with me this far and you want a chance to win this tutorial, just leave a comment below. I'll pick a winner on August 31, 2015 when I choose winners for the other two giveaways. Good luck & happy knotting!! I would love to win what ever you do its all beautiful Ellen M.
I love the peacock bracelet (well, everything you do really) and the owls are adorable. You have such a wonderful eye for color! Your combinations are beautiful. Absolutely LOVE your designs Sherri and would love to win one. Thank you. The Knotalong was perfect too. I will send you pictures! They are both so beautiful. Blue is my color. Love your creations, thanks for the chance to win one Sherri! Your design is beautiful and seems challenging! My guess is that it isn't but you have to know what you are doing. :) I'm an ole knotter from back in the 70's when those hanging pots were the rage! Nevertheless, with all the beautiful new fibers and beads who wouldn't want to join in and blow the dust off? I love what you do so much, you already know that. Thanks for your giveaways and the chance you give us to win. Love your designs! Thanks for the chance to win one! What a difference between the 2 bracelets! I have not tried making jewellery yet but I have noticed in sewing/quilting classes that the colours and textures of the chosen fabric lead to very different looks. I love your work, so thanks for all the giveaways! I am going to work on the KnotAlong tutorial this weekend! you are amazing! I admire your work and dedication. I want to someday make such beautiful accessories as you do. I have been following your blog for some time now. Luv your work . I am working on the knot along but with the wrong cords. The video is very clear and I have learned a few things so far. I am going to order the correct cords now and will try again. 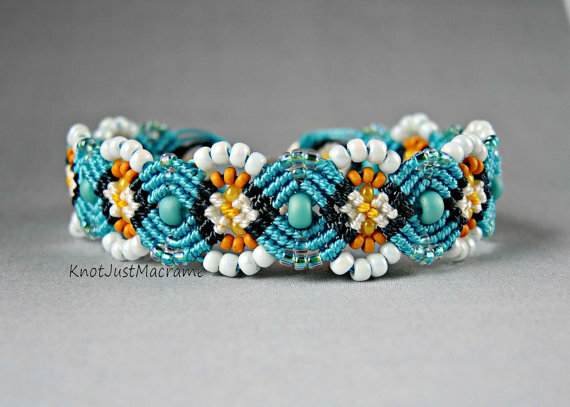 I really like macrame work and want to learn.so I can make some of your bracelets. PS; of course it would be wonderful to win. Those are all just gorgeous!! Definitely gonna have to learn to do micromacrame now, with this inspiration! Thanks for the opportunity. Beautiful creations. Can anyone ever have too much macrame? I think knot! You should wear your squidopus with PRIDE! Hang a couple of gears from the tentacles and call it a steampunik squidopus... sometimes the best things are accidents! I love your work. Would love to win this. It's such a pretty bracelet. You're the winner of the Peacock bracelet tutorial, Sue! If you'd message me your email (you can message me on www.facebook.com/mymicromacrame if you'd like to keep it private), I'll send you the tutorial!